Melville SHS has been inspiring students in Science, Technology, Engineering and Maths (STEM) subjects since the 2018 Leavers started in Year 7. This inspiration has led many of these top achievers toward associated degrees. 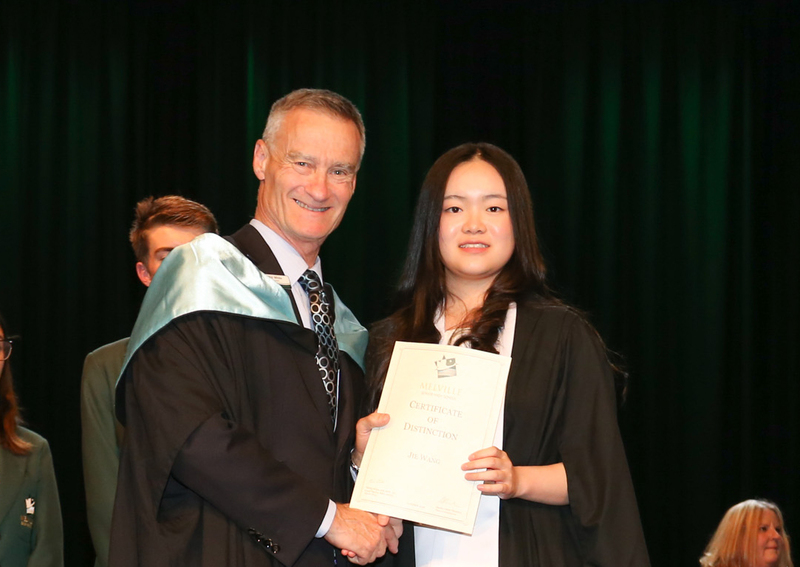 2018 Dux, Jessie Wang received an ATAR of 99.90 and has been accepted into the coveted B. Phil (Computer Science and Engineering) at UWA. The Bachelor of Philosophy only accepts students with marks over 98 and is a holistic four-year degree comprising a three-year bachelor’s degrees and a fourth year of honours. The curriculum opens the doors to UWA’s leading researchers and research facilities, international exchange programs, professional skills development workshops and a network of talented peers and alumni. Technology is the buzzword for this generation and Randy De Guzman (96.85) is studying a Bachelor of Mechatronic Engineering and Computer Science at Curtin University. Head Boy, Charles Morley-Wong (ATAR 98.35) is also off to Curtin to study a Bachelor of Engineering. Rico Lee (95.65) and Anushree Arunkumar (95.70) have been accepted into a Direct Pathway – Masters of Professional Engineering at UWA. Science at UWA was also the choice for other high achievers: Tom Featherstone (95.15) will study a Bachelor of Science (Physics) and Mathematics. Sophie Tremain-Hill (95.60) will study a Bachelor of Science (Pre-clinical Optometry) for a year at Curtin University then an Optometry degree at Flinders University.